Almost immediately following Twitter coming back from a planned downtime this afternoon, co-founder and current Chairman Jack Dorsey sent out a tweet letting his followers know that he was, “Getting ready to embark on something new and entirely different. Excited!” Dorsey is getting ready to launch his next startup, he’s confirmed to us. As the guy who actually invented Twitter, this is notable. Though Dorsey declined to comment on what his new startup is right now, we hear from a source knowledgeable about the new company that it’s code-named Squirrel. Here’s what else we know so far: It’s a service that allows anyone with an iPhone to become a merchant. Just like the wireless credit card swipers you see at certain shops and restaurants, you can carry around your iPhone and take payments. Apparently, the idea is that this will allow any individual to take credit card payments on a mobile device, kind of like what PayPal does for the web. 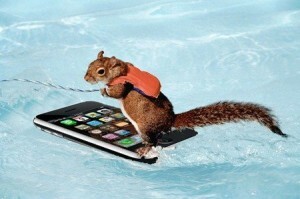 Squirrel is both a physical device add-on to the iPhone as well as an iPhone app. Ingeniously, the device derives enough power from the physical swiping of the credit card to then read the card, so it requires no external power from the iPhone or anywhere else. The physical device apparently looks something like an acorn, thus the code name Squirrel. Twitter was Dorsey’s idea when he was an engineer at the company Odeo, a podcasting company which current Twitter CEO Evan Williams ran at the time. Odeo ran Twitter as a side project for a while, before realizing that it had more potential than Odeo itself did. 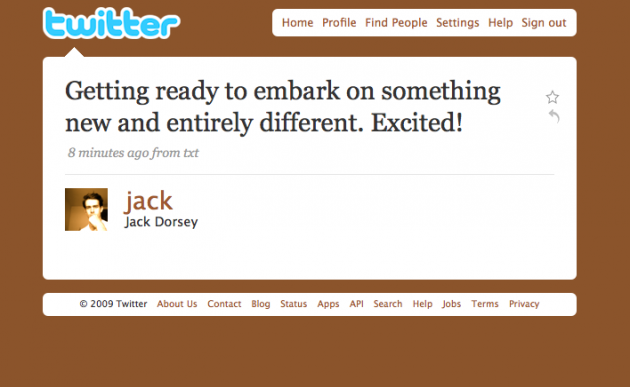 Twitter became the company, and Dorsey became the CEO. But there was always some question as to whether or not that role was a good fit for Dorsey, and so a few months ago, Williams and he swapped roles, with Dorsey taking the role of Chairman.